The 2019 LaSalle Strawberry Festival will feature the sounds of the iconic bands Abba and The Bee Gees. Abbamania Canada is an all Canadian cast that is the largest production of Abba in the world, with fantastic look, vocals and sound. A cast of studio musicians, Abbamania recreates Abba in concert. Night Fever, also from Canada, will take you back to the sounds and look of The Bee Gees. Known as one of the greatest pop bands in history, The Bee Gees’ musical journey travels five decades with over 30 hit songs. Night Fever performs all of the hits! Abbamania and Night Fever will take the stage on Saturday, June 8th at 9:30pm. Admission to the show is included with the $5 admission fee to get into the LaSalle Strawberry Festival. Also joining us this year is the President’s Choice SuperDogs and acrobats from Milord Entertainment. Visually exciting and wildly entertaining, AcroBark is a family-friendly show that celebrates the relationship between people and dogs in a whole new way! Show times will take place throughout the weekend. 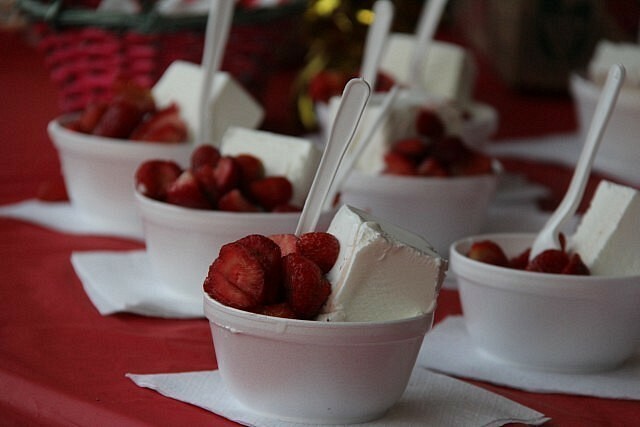 The LaSalle Strawberry Festival is a four-day event that takes place from June 6th to 9th, 2019 at Gil Maure Park.